musings on bees, life, the 90s, the internet, & such... | it must be... but what? musings on bees, life, the 90s, the internet, & such... it must be... but what? it must be... but what? looking upon this site hitherto, i'm struck afresh by the warmth of my early recollections of technology. but as comforting as it can be to gaze upon long-gone technologies, let me call out two i don't miss: internet explorer 6, and netscape navigator 4.
i almost think that anyone who shares close acquaintance with creating websites for those browsers shares something, perhaps akin to that which one might come to have in common with someone with whom one shared a room at an old-school mental asylum. i am many, as it were, even to myself, and most certainly over time. you may know me by some of these slices. not all slices are internally consistent, nor do they cohere with other slices necessarily. and yet i am nothing if i am not, or have not been at one time, all of these things. keep a 'notes' document, like a digital scratch pad, where you can cut pieces from your main document and know they're somewhere safe. you may or may not ever come back to them, but just having a 'safe' place to move them to frees your mind to make bold and daring cuts, which are an important part of the writing process. speaking of maybe, or maybe not, coming back to things, i was reminded of an odd habit of mine long back. i often failed to develop the photographs i'd taken (you know, from rolls of film, that kind of long back time). i would defend this oddity by suggesting it was the act of photography itself that had the value, the photographs themselves being neither here nor there, or more precisely, not requiring physical instantiation. a small strap wrench is essential in life. i never travel far without mine. i have a story about eels to share. i'm now in need of an eel simply to get access to a button refusing eels. how did i get here? is this the shape of software support these days? i feel like rather than address problems and causes, i'm frequently cajoled with some semblance of humor into accepting exactly that which i was most avidly attempting to avoid when i began the process. in this particular case (i won't name names), they're even resorting to bribery... they're offering me $20 in eel credits. i remember hypercard. i built my first game with it. i wish i still had it (both the game, and hypercard itself! why don't things like these get saved? digital formats are not the forever they once were promised to be. and some apps—and services, for that matter—once gone, leave forever a marked lack in one's life). i was somewhere at or over the age of 10 at the time... when i began playing with hypercard, that is. playing hypercard games. stringing together elements, seemingly effortlessly. i remember creating my game, fragments thereof at least: a magic potion, with a vapor above it that i vaguely recall agonizing over. the sheer delight, coupled with simplicity—even to make potion vapor animations in a choose-your-own-adventure game (cards in stacks... an apt visual metaphor)—left the warmest of impressions on me, and set a tone that would be continued as i dabbled in the internet of those days (my college years, fall '95 to spring '99... cyberspace, brightly colored, pixelated, blinking, animated, wild and free). that was a time when you would actually draw pixel by pixel... i remember doing so, constructing elaborate illustrations. 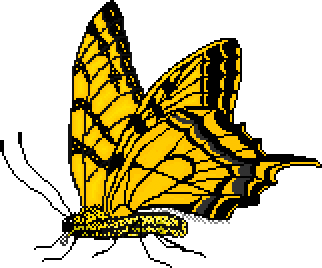 one, a swallowtail butterfly based on a photo (a modest first project). 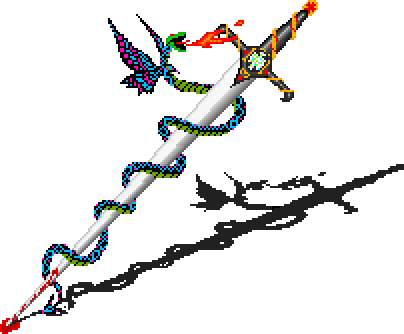 another, a bright pink and blue-hued serpent twisted around a sword. the others? lost, i fear, to unrecognizable formats (once again, data is fleeting). 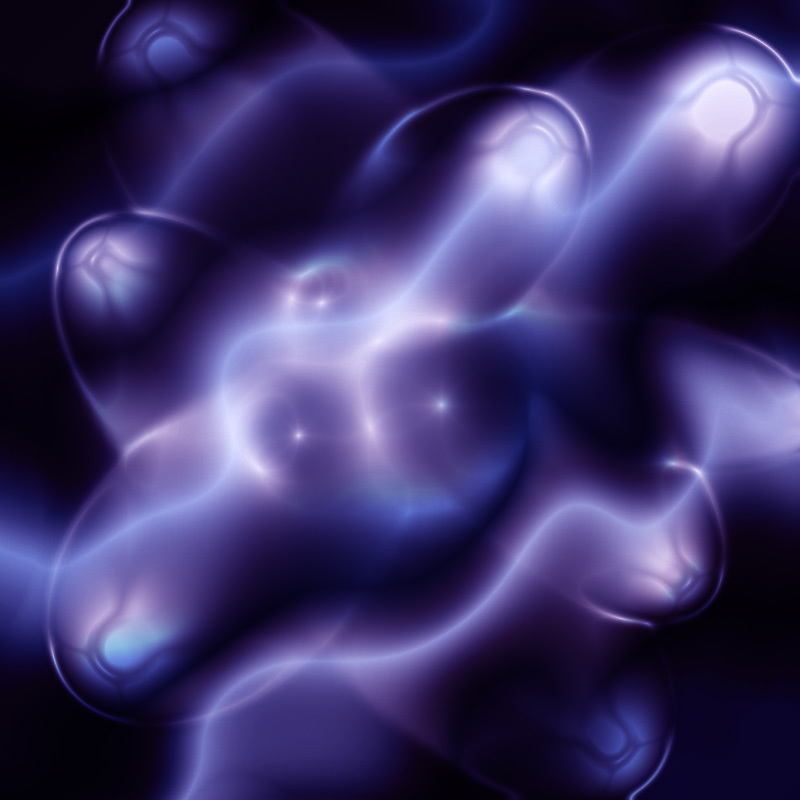 relatively much later, i remember making this on a powerbook 1400cs (at the time, the latest in a chain of macs... though i'd begun with an apple IIe). i remember photoshop overheating my laptop at times (causing unplanned shutdowns). so i'd have to save often, and preventatively turn the machine off for 15 minutes or so (cuing off whether my legs really were burning dangerously so). was that photoshop v4, i wonder? yes, it was, i just looked it up. code name: big electric cat, released november 1996.
greetings 2019, i see you here. a marker in time. occasionally beers have marked years for me, so that i can say, for example, that blue moon tastes like 2010, or leffe, 2002. i wonder if 2019 will taste of leinenkugel sunset wheat? these fragments begin nowhere in particular, and similarly go on in that fashion. to be perused idly, as a collection of meandering interludes, like life.